When the historic Two Gables estate hit the market earlier this year, local headlines weren’t about the famous East Coast architect who built it. Or the famous meat-packing family that called it home for more than 70 years. Or the other famous architect that family hired to extensively rehabilitate the property after a 1928 fire. No. This home’s claim to fame was all about one larger-than-life resident who blustered into town in 1986 and made an impression most Lake Foresters will never forget (even if they wanted to)—the one and only Mr. Laurence Turaud, aka Mr. T.
“In a town full of men wearing pink and green embroidered shorts and popped collars, nothing was more exciting than seeing Mr. T walking into the Jewel with biker shorts, no shirt, a full-length fur coat and, of course, his iconic Mohawk and stacked gold jewelry,” recalls Anne Iacubino of Lake Bluff. He was the anti-prep. The rebel. The outsider. He played ex-Army special forces soldier B.A. Baracus on the NBC television series, The A Team. He was boxer Clubber Lane in Rocky III. He had a cartoon and had appeared on NBC’s Diff’rent Strokes. 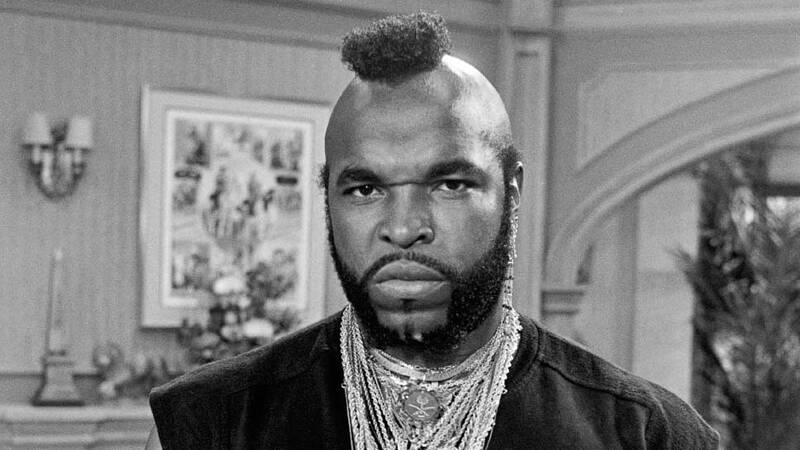 With a comic catch phrase that he “pitied the fool” who challenged him, all delivered with bare chest, gold chains (some reportedly valued at more than $300,000), and a signature Mandinka warrior hairstyle, Mr. T was a force—even in Hollywood. So just imagine what it was like the day that Mr. T, who grew up in one of Chicago’s poorest neighborhoods, strutted into town and signed the papers on Two Gables, which had lovingly been called home by the Armour meat-packing family for more than seven decades. He was friendly and he was flamboyant. But what got Mr. T into trouble, and drew attention around the nation, was a 1987 decision to cut down more than 100 mature oaks on his Two Gables estate. The reasoning behind such an affront to nature? He said he was allergic, which instead of quelling the outrage, only stirred it. Oh, yes. He ran for mayor. Most people forget that, though no one took him seriously. For the most part, most long-time Lake Foresters remember Mr. T as an entertaining local figure. His nationally-dubbed “Lake Forest Chainsaw Massacre” aside, he was seen as a kind, though intentionally ostentatious, neighbor. John Looby III, owner of Lake Forest Flowers, says that Mr. T (who lived right around the corner from his shop) visited often, many times in floral spandex with no shirt. “I used to get a kick out of him standing at the end of his driveway and telling the kids going to St. Mary’s School to ‘don’t be a fool, stay in school,’” says Looby. Mr. T also made a lasting impression on Mia Waligora of Lake Forest. “I remember seeing him at the mini mart uptown, pumping gas, in a full length white fur coat, fur hat, in the middle of August,” she says. The Turaud family didn’t end up staying that long in Lake Forest, all things considered. After a few years, they sold the estate and moved on. Reports even indicate that Mr. T shed his signature gold jewelry after volunteering during Hurricane Katrina, saying that it was too garish to display such opulence in a world where so many people are lacking. But one thing is for certain, as evidenced by reports on the sale of Two Gables. The real-life sitcom that was Mr. T’s life in Lake Forest may have come to an end, but his presence is not easily forgotten. The reruns of those images and stories are just way too much fun. Lake Forest resident and Contributing Editor Ann Marie Scheidler, who has her own teen-aged memories of seeing Mr. T around town in his red convertible Rolls Royce, contributed to this story.